Just the written word to say again what a wonderfully relaxing and ever-so-attractive B&B you two run. 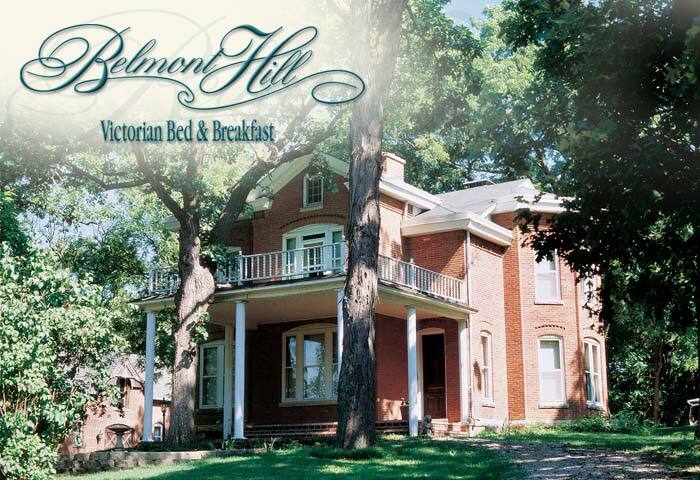 Accomodations superb, food excellent and, best of all, your gracious involvement with your guests rate Belmont Hill "first class." This has been an elegant and thoroughly hospitable experience. Thank you for all of your kindnesses. I wish you the best and hope to be your guest again! "What a beautiful place! It's changed my outlook on what business travel should be." "Thank you so much for having us in your beautiful bed and breakfast and your loving home. It's so wonderful after such busy days to be welcomed into a family and get a chance to relax." "As always, a lovely stay in a beautiful home with a great family." "A memory to last for years...thanks for your quaint extravagance." "A great find--great service, nice people, excellent food and bed. Thanks!"